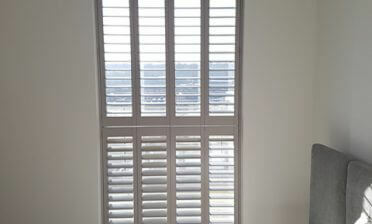 One of our installers Tom was in Sidcup, Kent to fit these shutters for a client’s townhouse. 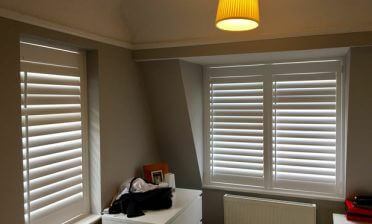 The shutters were going in two windows, each with different sizing and properties. One window was of a regular size, with the other arched at the top. The arched window sits above the properties front door and is the only different window as seen from the front of the property. 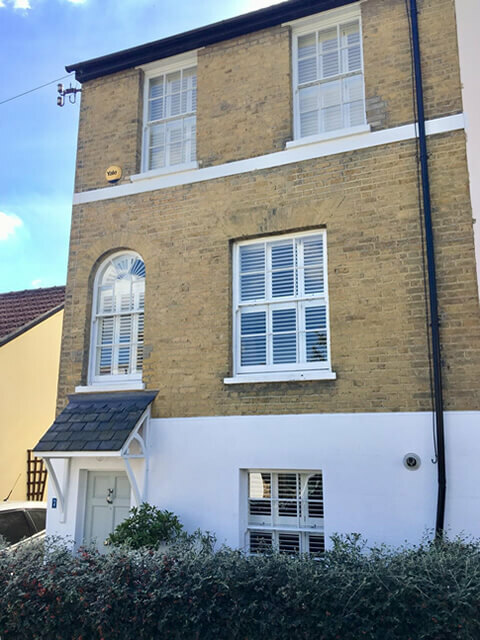 These shutters were being installed to the sash windows in addition to other shutters throughout the property, as you can see from outside and were carefully matched in style and finish. 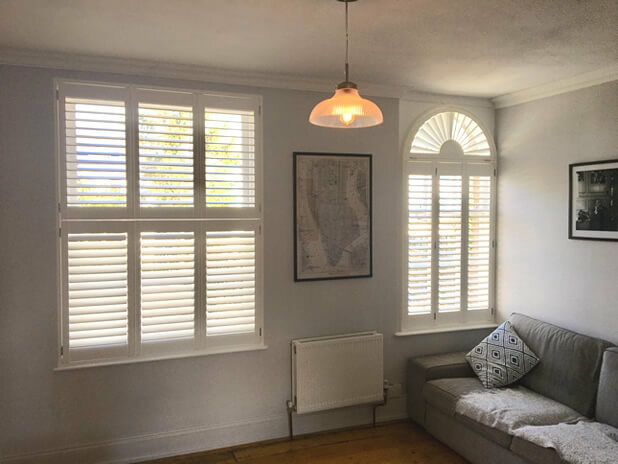 After talking the client through our many options they decided to have tier on tier shutters to the standard sized window and full height with specially shaped sunburst at the top of the arched window. The sunburst shutters create an amazing look from inside and outside of the property, with louvres that still work and can be adjusted in the top section. The top can also be fully opened much like the other panels. 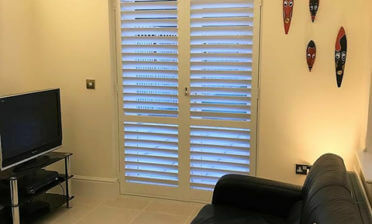 All shutters feature 64mm louvres with a hidden tilt rod solution, allowing for a more modern look with no visible rods. We finished the shutters using brushed nickel hinges and silk white paint for the panels.